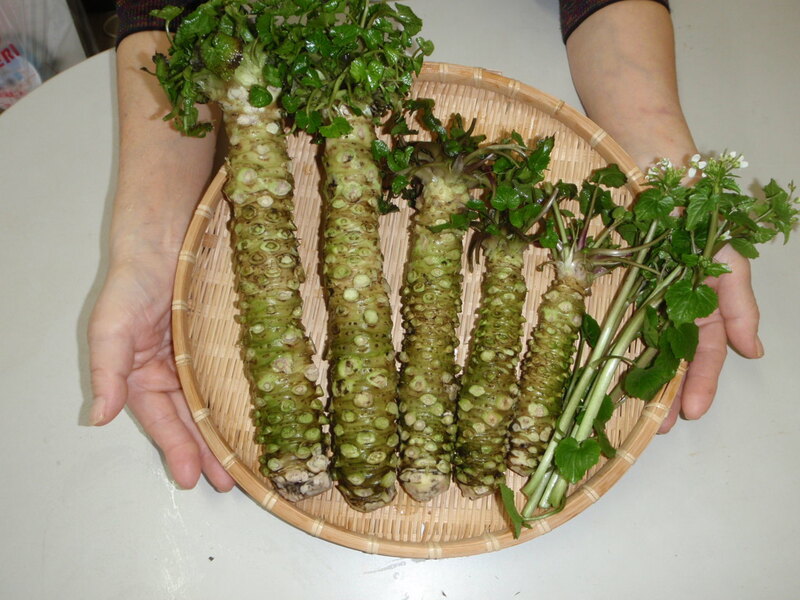 Fresh, tasty wasabi grown by hand in Itoigawa! Try our "jade wasabi" when you visit Itoigawa! 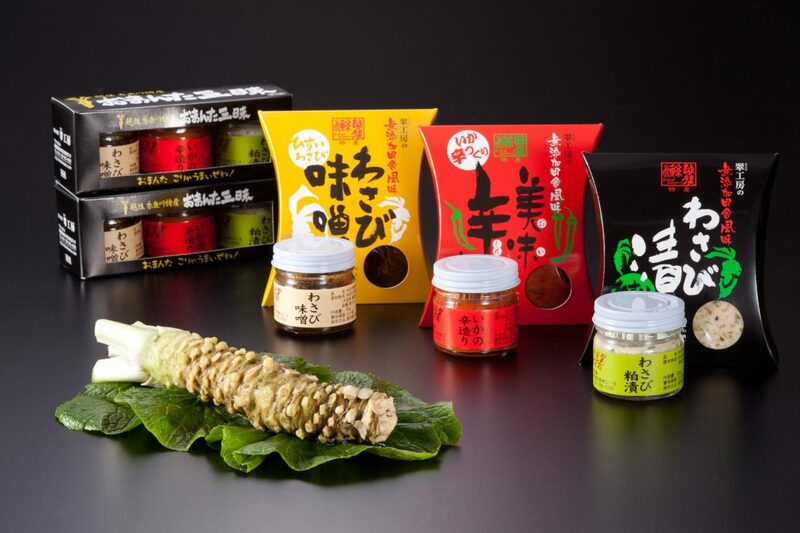 Try our wasabi in a variety of products when you visit our store! One of the largest wasabi farms along the Sea of Japan! You can buy the highest grade of wasabi at our shop. 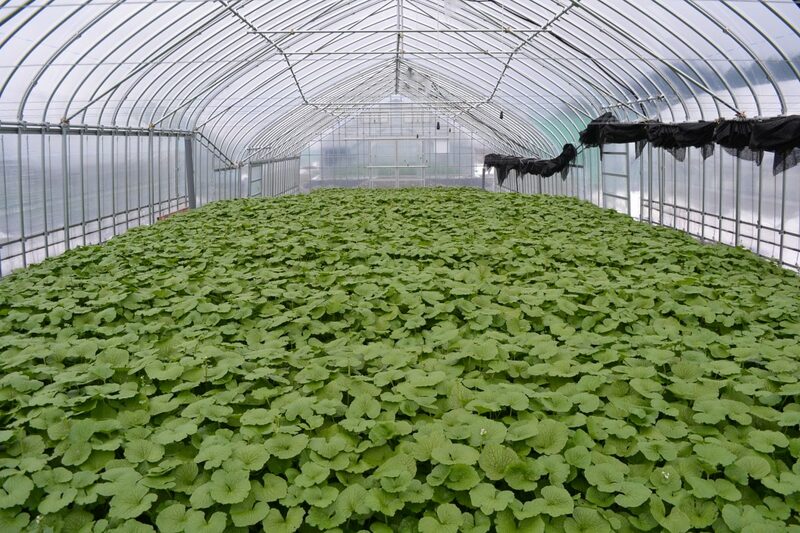 We grow ‘mazuma‘ wasabi, the highest grade of wasabi available, using our special patented greenhouse system. We process and package the wasabi onsite, both as fresh wasabi and in a variety of products. Stop by our shop and check out our full line of products! From early summer until autumn, we also sell Guernsey milk ice cream which you can enjoy with fresh-grated wasabi for a truly exquisite taste experience. We also sell Makochan Kelp udon noodles, made by the students at the local Kaiyo High School. They go great with our wasabi! Parking Available for 10 Cars. About 300 m from the Nakashuku Lawson Shop. Look for the greenhouses!